A higher framework opens many doors to code easily for a superlative website. The advanced framework gives the easiest path for coding. Web developers achieve heights in the coding world by using the best framework. Ruby on Rails, Laravel, Cake PHP, Python are great examples of the latest framework now these days. A framework derived from a solution and it solves concerns simply. A new framework defines motive behind its creation. 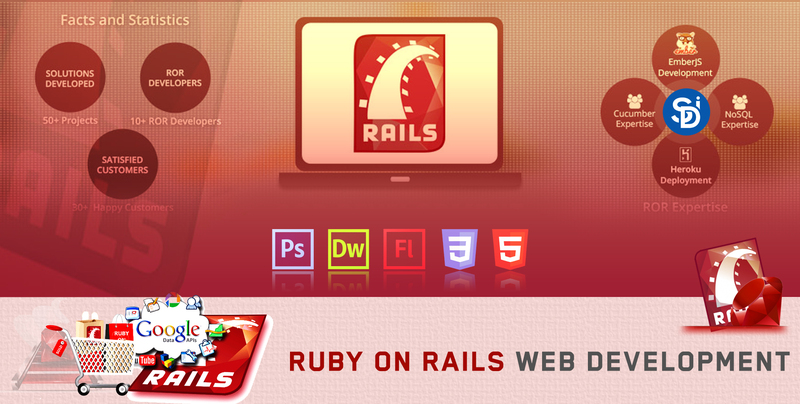 Ruby on rails is a new framework for web application. This framework is written in Ruby (high-level programming language) that’s why it controls database, web standards and web services. It’s easy to learn and fully object-oriented. Ruby on rails is being much popular because of its web application ten times faster compare than Java framework. Ruby on Rails follows MVC pattern and gives database-driven web application. It is a full stack developers framework means we need to write less code compare than another advanced framework. Both are superb for their using purpose. Although, there is much more difference between ruby on rails and PHP but some common features also present in both of the frameworks. Web developers use several attributes which work same for both platforms. For example, both platforms follow MVC pattern. Thus, both accept AJAX for directory structures. Both hold the diverse database for their uncountable data and figures. Both use command line interface for creating unique shells. Why Ruby on Rails Development? Do you have any imagination for web application in mind? Ruby on rails framework is ideal for imagination because it’s easier and lucrative. ROR supports all fantastic web applications. For example, you may browse GitHub, Airbnb etc. which are the big name in the world. ROR came in 2004 and now it has been popular marvelously due to its open source software. It is being easier day by day because developers are contributing their code for making it easy to others. Metaprogramming is a strength of Ruby on rails. 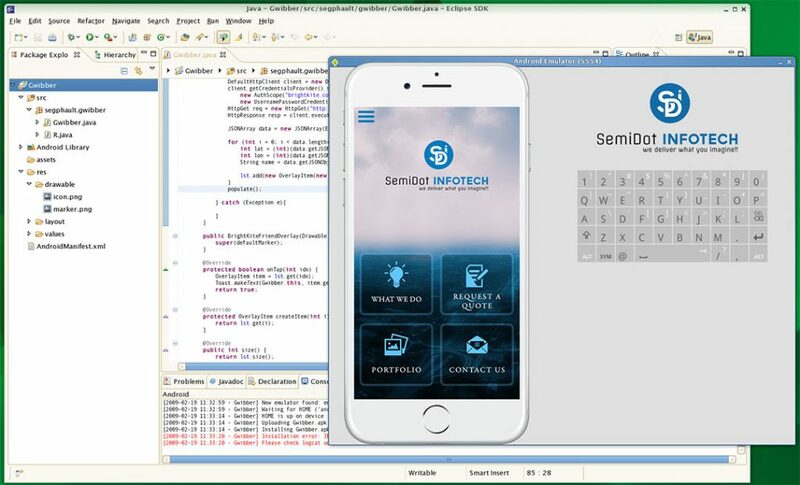 In this technique, we can write code at runtime. Define and modify classes at runtime and evade repetitions for getting best results. Ruby on rails is the best-interpreted language that use metaprogramming technique to write code at runtime. Web developers use metaprogramming for the heavy lifting perspective because of ruby on rails highly capable to generate code in this technique. ROR development companies offer custom web applications and software development because ruby on rails encourage them. Companies hire world’s best ROR experts who come with enormous experience and give intensive results. ROR developers use latest tools for their ROR coding and deliver the best example of ROR technologies. ROR technology uses high standard code giant and small web applications. Ruby On Rails companies give 24×7 help and support with outstanding business strategy. Robust knowledge of ROR makes developers more aware of finest customer service. Quality is the key to success, ruby on rails web development company use trusted and quality-rich techniques for web applications. Discuss with the client and grab what they require. Experience helps to understand client’s need. ROR professionals do secure and dynamic coding for better results. Ruby on rails is a fully contented service and it is ideal for news, entertainment etc. related website. Its content management system is robust and offers less coding for scalable web applications. Ruby on rails web development companies control ROR feature and implement with their primary goal. Ruby on rails carries 100% success ratio because it’s flexible in US and overseas. Sweeper functionality clean cache without deployment. Fully fluid layout designs support ruby on rails for different size of the electronic device. Give unmatched experience to the user by using ruby on rails development. Most of the ruby on rails web development companies offer clock support and strong maintenance to clients. Hi there! Quick question that’s entirely off topic. Do you know how to make your site mobile friendly? My blog looks weird when browsing from my iphone. I’m trying to find a template or plugin that might be able to fix this issue. If you have any recommendations, please share. Many thanks!